It’s brilliant, really – practice who you want to be so when you get there, you’re prepared. It’s kind of an interesting concept. I found myself wondering how this plays into mindfulness – being in the moment, experiencing the moment, enjoying the now. Can you practice being your future self and practice mindfulness at the same time? Remember years ago when the WWJD bracelets were all the rage? That movement encouraged bracelet wearers to examine a situation from a different perspective. What would Jesus do in that moment? What would He say? How would He react? Taking a moment to step out of the emotion of a situation often helps to react in a more level-headed way. It encourages the logic to override the passion, often preventing unnecessary hurt and anger. Taking a split second to reevaluate moments and situations with a different perspective can change everything. In the process, you practice mindfulness while practicing your future self all at the same time! Seriously, though. 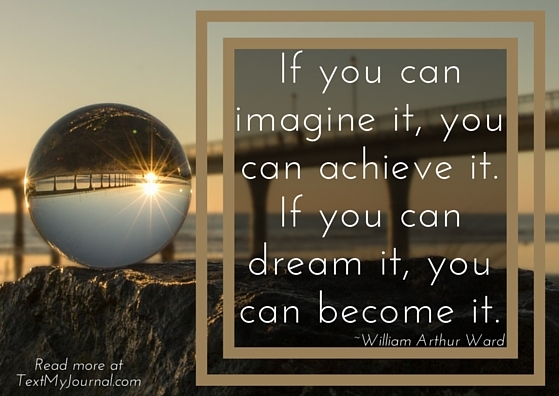 In those difficult moments – dealing with crises, loss, heartbreak, devastation, loneliness, depression – sometimes one of the most healing things to do is to imagine your future self looking back. What will you learn from this situation? How can this make you a better person? Will you be able to help others going through the same thing? Those questions can help appreciate the moment (mindfulness) and practice your future self in one fell swoop. Discovering who you want to be is the first step towards becoming it. The next step? Practicing. So, practice being your future self being mindful. 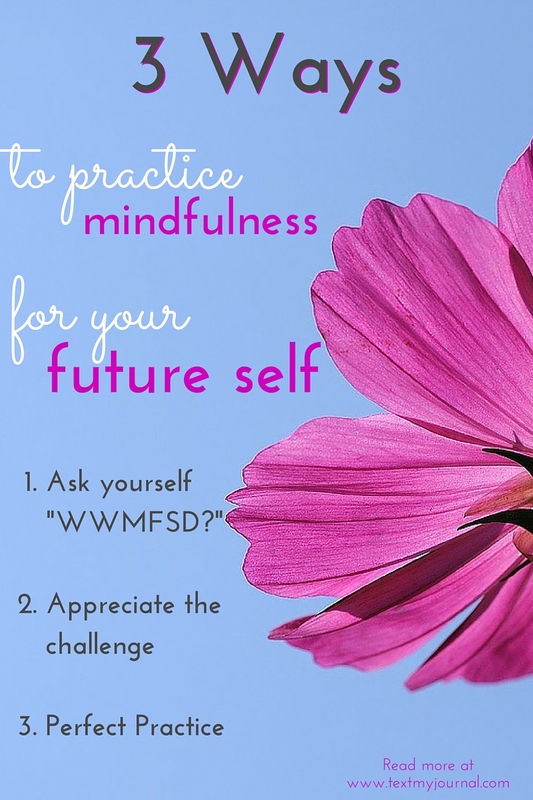 Establish mindfulness as a trait of your future self, and practice it!